Everyone hates spam. However, you can protect yourself against it in a number of ways. First, advise friends and co-workers not to send you those emails that are simultaneously sent to dozens of other recipients (the modern day equivalent of the chain letter). As soon as you are heaped in with all those other people you don't know, your email address can be slurped up and added to yet more spam emails. Various recipients of the same email may have viruses that grab all email addresses from their email accounts. But you may not be completely successful using this method. Sooner or later, you will receive spam. 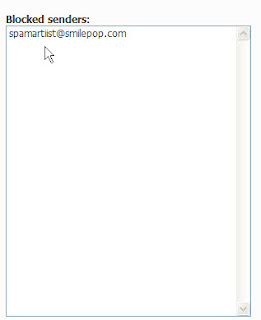 If you are willing to make the effort, however, you can block e-mails from spam artists. 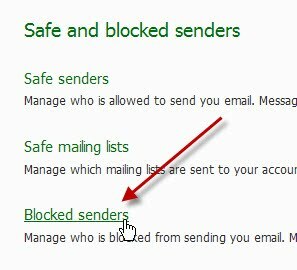 The following instructions will show you how to block specific e-mail addresses from sending spam to your Hotmail account. 1. 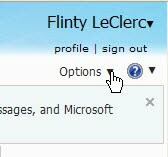 Open your hotmail account. 2. In the upper right corner, click on Options. 4. Under Preventing junk email, click Safe and blocked senders. 5. In the Safe and blocked senders screen, click Blocked senders. 6. 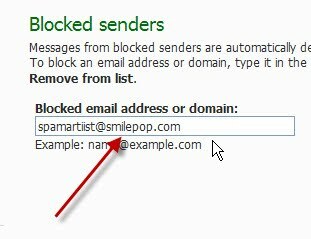 In the Blocked email address or domain: text box, add the email address that you want to block. 7. Click the Add to list button. Result: the email address now appears in the Blocked senders text box. The worst of these bothersome addresses have variants that will still end up in your inbox. Make the effort to block subsequent variations and you will eventually be rid of them. 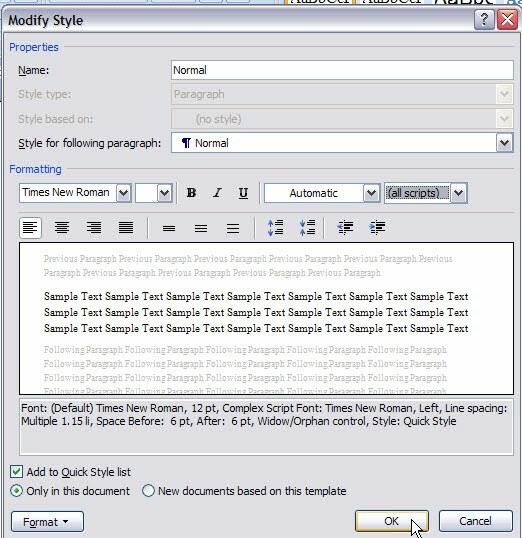 Using Styles in Microsoft Word 2007 is an efficient way to format documents. However, you may on occasion have problems changing Styles. If you are having problems changing Styles, the following may help you. This may even be helpful for you if you have successfully changed Styles in Microsoft Word 2007 in the past, but for some reason the changes now do not seem to take effect. 1. Open Microsoft Word 2007. 2. 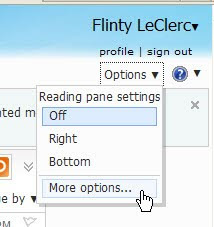 On the Home tab, in the Styles group, right click Normal. 4. 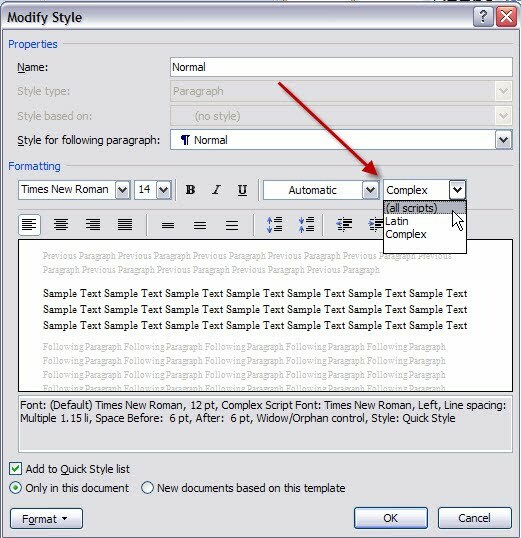 In the Modify Style dialog box, in the box that appears next to Font Color, select (all scripts). Note: This is what may have been causing the problem for you. I have noticed that this selection box does not even appear in some instances of MS Word 2007. However, when it does, Complex seems to be the default selection. Perhaps this option only appears on versions that are loaded with certain language scripts (such as Thai)? Note: Notice that when you have made changes to the Font style and size, if you again go to make more changes, Complex once again appears. Only when you change Font size and style (and any other aspect within the Modify Style dialog box) while Complex is selected, do your changes not seem to "take." 5. 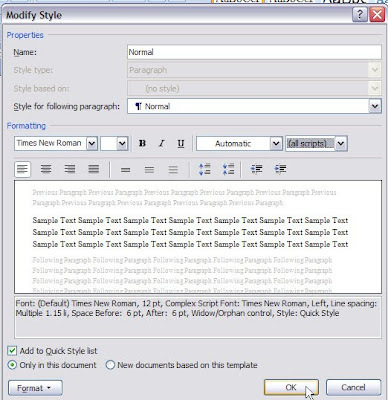 In the Modify Style dialog box, change the font style and size according to your preference. 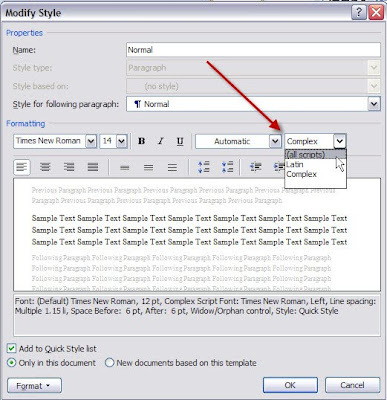 Tip: if you would like the Style change to apply to all documents based on the template you are using, in the Modify Style dialog box, enable the New documents based on this template radio button. When learning to speak a new language, one of the best ways to remember new words is to use word associations. As in any learning situation, you improve your retention when you move from the known to the unknown. The memory association trick is an old one. I first read about it in a book published in the early part of the 20th century. The author goes into detail about how much mental energy is required to learn new information without using memory aids. When memory aids are used, the amount of effort needed to remember new words goes down appreciably. This method has been replicated by many language teachers over the years. The following are some word associations that I have used to quickly remember words in Thai. The word in Thai appears first, followed by the transliteration in English, the meaning, and then the word association. Word association: I’ve got a tattoo of a ruler on my arse. Word association: the American author Bill Bryson is mailing a letter. Word association: Dan Tanna (the TV detective from the late 70s U.S. show Vegas) is taking money out of the bank so he can go to the carnival. Note: this word association might not be effective for anyone other than Americans and Canadians. Word association: my mother brought me pie when I was a child, and this made me feel safe. Of course, tone and vowel length are very important when learning Thai, and these word associations will not help one bit regarding those aspects. However, you have to start somewhere! Just as word associations can help to build your vocabulary, you can also use this method to remember the phonetic sounds for all the letters in the Thai alphabet. Teaching EFL writing classes at the university level can present some interesting challenges. Some of the students you encounter may have been learning English on and off for more than ten years. Yet some of them may not have internalized anything that they have been taught. Often this is because they have had no desire or motivation to put in the time outside the classroom to achieve any degree of proficiency in English. I know that there will be more than a few such students in any university writing class. While the course may be a requirement for them to graduate, they may have no desire to ever use English after they leave school. I encourage those students to learn the material that we practice in class. I tell them that they can memorize the structure of numerous sentences and then substitute different nouns and verbs according to an assignment or exam question. But a far bigger challenge are the students who do have a fairly good English vocabulary, and have reasonable speaking and listening skills. Many of these students falsely believe that they can also write well in English. However, many of these pupils cannot write a single error-free sentence. Their poor writing skills are compounded by their assumptions about expectations. Now that they are in university, they feel that they have to write in an appropriately academic sounding way. The result is a skewed syntax that is rammed full of errors and, at times, nearly incomprehensible. Or, as one colleague once put it, it’s as if they load all the words they can think of into one of those old blunderbuss guns, aim at the paper, and fire. Regardless of how often you stress to these students that they must master the fundamentals first, many of them will keep churning out their strange form of mangled English. Students who write simple, error-free sentences will always score higher on writing assignments than those who fire the blunderbuss at will. The students who produce the skewed syntax may be able to engage in more advanced conversations. And when you read what they have written, you can sense underneath the flotsam that the ideas they are trying to communicate are more complex than those from the students who have less experience learning and practicing English. But you cannot give out good grades for what you sense may be hidden under the horrible writing (perhaps in a creative writing class that would count for something). I always tell the students who produce the mistake-filled, rambling assignments not to write beyond their abilities. I encourage them to come to see me for extra tutoring. I tell them that I will analyze their writing and highlight their weak areas and provide guidance on how they can improve. Some of these students take up the offer, but many refuse and continue to produce the kind of prose that makes your head hurt. I don't know if this refusal is based on laziness or a genuine belief that they can write well (perhaps based on the exchange of e-mails and other online interactions with people who praise their writing). On the other hand, many students who have not had the opportunity to learn English in the past show remarkable improvement after completing a writing course. In one section of Descartes’ Baby: How the Science of Child Development Explains What Makes Us Human, author Paul Bloom discusses the ability of humans to recognize that others can have different beliefs and knowledge (known as the ability to attribute false beliefs to others). This is an ability that comes relatively late in childhood development. In a striking experiment that Bloom discusses in his book, researchers place two children in a room with a covered basket and a covered box. Outside the room, another child is watching the scene of the two children via a closed circuit TV. One of the children (let’s call him Sonny) places a marble in the basket and then leaves the room. When Sonny is out of the room, the other child (Sal) moves the marble from the basket to the box. When the child outside the room is asked where Sonny will think the marble is located, the child indicates that Sonny will know that the marble is in the box. Because the child outside the room knows that the marble has been moved, he assumes all others will know this too. While this ability— to recognize that other can have a different reality within their minds— is one that comes relatively late in development, in most of us the understanding is never complete. We experience incredulity at every turn as adults. We are truly flummoxed that others don’t share our view or understanding of things. For example, everyone has exclaimed at the fact that not everyone finds their favourite food delicious. With regard to hot button political issues, two relatively sane people can be given the same information about a situation. Prior to hearing the new information, one of the listeners believes X and the other believes Y. The new information might leave no subjective room for any conclusion other than X. Instead, the listener who believed Y will often only have his existing views strengthened. More importantly, both cannot fathom why the other holds the opinion he does when presented with the same facts. The idea that it is hard for humans to grasp what others know is highlighted even more in the world of teaching and learning. It is why there are so few good teachers in the world. As Bloom further discusses in his book, the “curse of knowledge” means that once we understand or know something, it is almost impossible to imagine not knowing it. It’s why user manuals and instructions are larded with assumptions about the knowledge level of the end-user. It’s why engineers usually make horrid teachers when it comes to explaining how to use the things they have built. Because they know their creations so intimately, they are unable to imagine what it is like not to be familiar with them. In fact, they are not even able to cast their minds back to a time when they didn’t know about their creation because they have known it in concept, component parts, and final product. It also explains spluttering language teachers who can’t fathom why a student doesn’t grasp a grammar point. So, how do you insulate yourself against making the kinds of assumptions that prevent you from being a good teacher? First, simply being aware of how easy it is to make bad assumptions can help you to recognize exactly when you are doing just that. Most English usage concepts are elementary to you because the understanding of the language is burned into your brain. 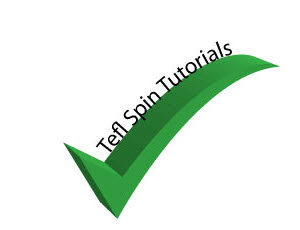 Second, make the effort to learn the native language of the students you are teaching. Not only will it make you empathize with them, but you will start understanding why they make the kinds of mistakes they make. Third, spend some time and go beyond the grammar practice books and Headway-type books on which many teachers rely. While many weighty tomes on linguistics are about as interesting to read as watching paint dry, you can find some readable and instructive books as well. 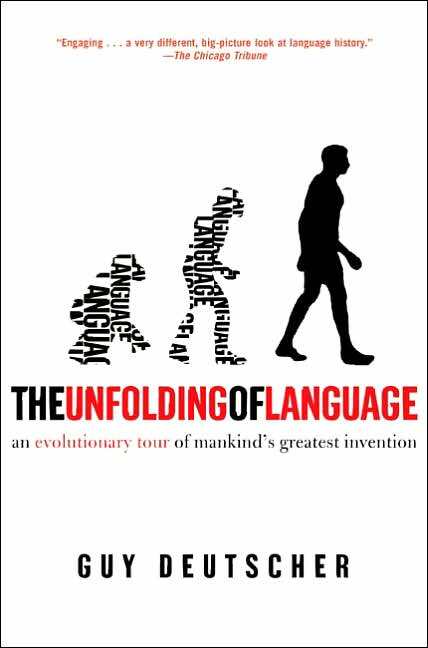 A fuller understanding of English will make you a better teacher and could inject some enthusiasm into your lessons. Fourth, change up your teaching style frequently. While teaching is one of the best ways to learn about any subject (and especially a language), changing the way you teach can also help you to see things from a fresh perspective. Finally, read widely on any grammar point that you teach. If you are referencing only one or two grammar books, you may be omitting important exceptions and perhaps not giving your students all the information they deserve. In this post, I am going to show you how to add an audio alert to Windows XP that lets you know whenever the Caps Lock key is selected on your keyboard. 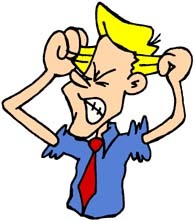 Many users mistakenly strike the Caps Lock key when typing, and the result can be a long passage in upper case that they wanted in sentence case. 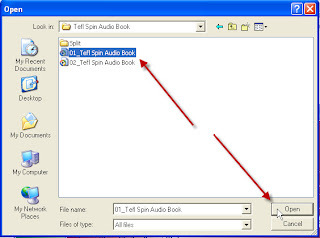 Adding the audio alert can save you time and frustration when working on documents in MS Word, and other software programs. 2. Point to Settings, and then click Control Panel. 3. In the Control Panel dialog box, ensure that you are in Classic View. Note: you do not have to be in Classic View to add an audio alert. However, you may want to switch to Classic View to follow these instructions. 5. 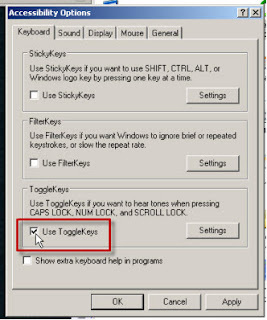 In the Accessibility Options dialog box that appears, select the check-box next to Use Toggle Keys. Now, press the Caps Lock key. You should hear a small beep. The next time you are typing and you hear that sound, look at your monitor and you will notice that the text is appearing in upper case. Please note that you will also be alerted when you press the Num Lock key that appears above the number pad on the right of your keyboard. This is simple change that can save you time and aggravation. 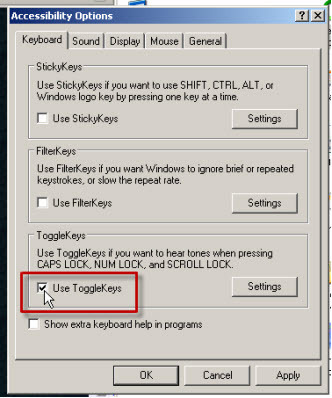 Note: if you follow these steps and you cannot hear a beep when you press the Cap Locks key, it may be due to how your computer’s sound system is configured. In this case, unfortunately, you might not be able to take advantage of this feature. Many jobs require a person to spend a great deal of time in front of their computer monitors (including teachers). When typing on the keyboard, many users may look away from their monitors for minutes at a time. They could be looking at a hard-copy document and typing the details into MS Word. Or their typing style may keep their eyes focused on the keyboard for lengthy periods of time. Have you ever looked up at your MS Word document to find that a passage is in UPPER CASE when you had no intention of typing in upper case? 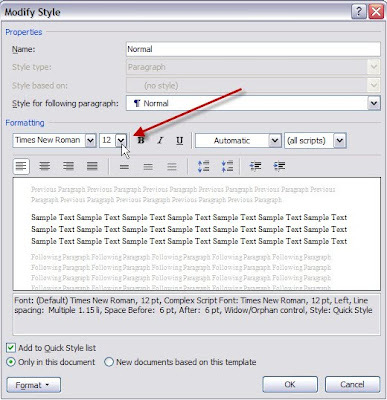 There is a simple way to change the case of a word, sentence, or longer passage in MS Word 2007. 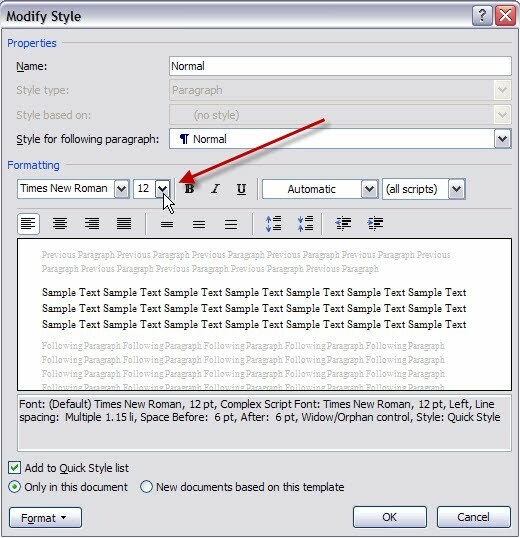 In this post, you will learn how to change text case in Microsoft Word 2007. 1. Select the word, sentence, or passage whose case you want to change. 2. On the Home tab, in the Font group, click the Change Case button. 3. Select the option that you want from the list that appears. Note: Sentence case is the default option when you are typing in MS Word, and the option that you will probably want to select. 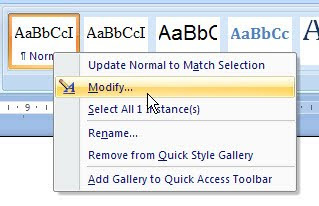 Tip: Most functions in MS Word have a built in shortcut. You can also change the case in MS Word by highlighting the desired text, holding down the Shift key on your keyboard, and then pressing the F3 key. Continue holding down the Shift key and pressing the F3 key until you arrive at the case that you want. There are three cases available using this shortcut: UPPER CASE, lower case, and Sentence case. Sentence case: the initial letter of the first word of each sentence is capitalized. Upper case: all letters are capitalized. Lower case: all letters are in lower case. 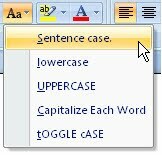 Toggle case: this is not a case per se: it is a function in Microsoft Word that changes the case of each letter of the word or passage. Capitalize each word: also a function in Microsoft Word. Capitalizes the initial letter of each word. Camel case: (also known as medial capitals) when compound words are closed (i.e., do not contain hyphens) and the initial letter of the second and/or subsequent words is capitalized. For example, iPod or CamelCase. The name reflects the appearance of the capitalized letters: they are reminiscent of the humps on a camel. HJ Split is a simple, easy to use tool that allows you to split files of any type into smaller parts. Also, you can join parts of a file that have previously been split. The interface of this tool is very basic and seems intuitive. In fact, it appears so intuitive that it almost accomplishes that most sought after of usability goals: eliminating the need for documentation. Why then have I created this tutorial? Well, if you have arrived here after searching for instructions on how to use HJ Split, you know that even for software that appears at first to be eminently straightforward to use, assumptions can lead to problems for users. 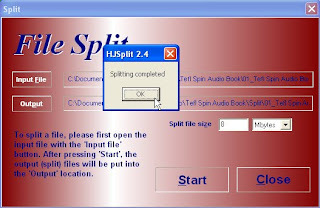 Specifically, in this tutorial I will show you how to split an mp3 file of an audio book using HJ Split. To perform these instructions, you need a copy of HJ Split installed on your computer (you can download it for free here), and an mp3 file. These instructions are specifically for the Windows XP operating system. Let’s proceed to the instructions. 1. Create a folder where you would like to keep the new files that you are going to split. 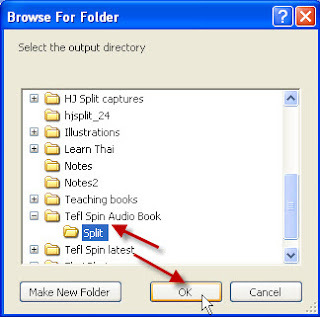 Note: a good idea is to keep the split files in a new folder entitled Split and locate the new folder within the folder that contains the files you are going to split. 2. Hover over the file you are going to split. Write down or remember the length of the file and the size in megabytes. Tip: your files may not be arranged the same way as they appear in this tutorial. If you would like to set your files to appear in list view: in Windows Explorer (i.e., while you are in a file in Windows), click View, then click List. 1. 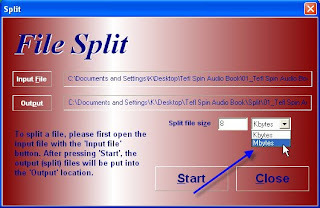 Click the HJ Split icon to open the program. 2. Click the Split button. 3. In the Split dialog box that opens, click the Input File button. 4. Navigate to the location of the file you want to split, select the file, and then click Open. 5. In the Split dialog box that is still open, click the Output button. Note: you may notice that a default output location already appears. This is the same folder where the original file you are going to split is located. 6. 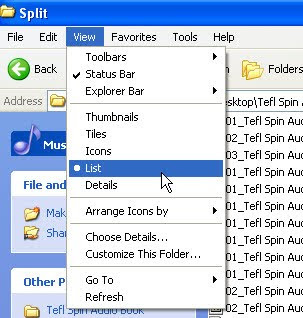 Navigate to the folder you created earlier, select it, and then click OK.
T ip: before performing step number 8 (above), you may have to click the plus sign next to the parent folder to expand and display the folder named Split that you created earlier. 7. In the Split dialog box, click in the Split file size box and enter the size of the files that you would like to create. Note: based on the numbers you wrote down earlier, you can decide how big you want the split files to be. Use the time of the file and the size to make your determination. The size you enter will determine how many files will be created. In my case, I am going to base the decision on file size only: I am going to select 8, which will result in 10 files. 8. Click the arrow next to the Select file size number that you just entered, and select Mbytes. 9. 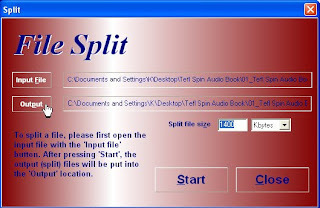 Click the Start button, and when splitting is completed, click OK.
1. Close the Split dialog box and the original interface window. 2. Navigate to the output location (the folder you created and named Split earlier). Note: notice the Unknown file type icon that appears next to every file that was created. Warning: if you do not type .mp3 at the end of the name of the file, Windows will not recognize the file type. Note: F2 is a shortcut that allows you to edit the name of a file. 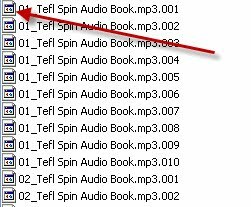 Result: you now see the familiar Windows Media Player icon (or whichever program you have set as your default program for playing audio files) next to the audio file. Also, you can hover over the file and notice that the details of the file now appear. 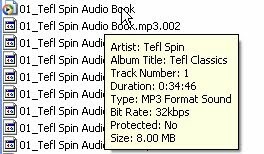 Note: after you enter the mp3 at the end of the file name and press enter, you might no longer see the .mp3 at the end of the name of the file. This depends both on the length of the name of the file and whether Windows XP is set to display file extensions. 5. 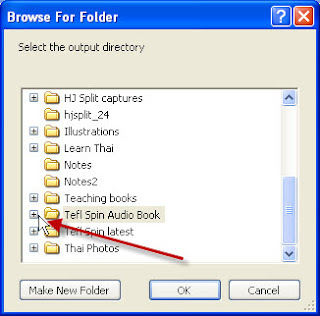 Continue clicking on and changing file names and adding the .mp3 suffix to all files. Note: a good format to follow with multiple audio files that you may want to load onto a player and to play in order, is to add the prefix: 01_, 02_, 03_ etc. 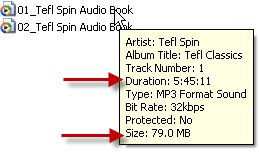 You are now able to more easily upload, and organize your mp3 audio files. Perhaps most importantly, you no longer have to fast forward for minutes on end within extremely large files.